8190 Cheyenne Street S Theodore, AL. | MLS# 624445 | Assist-2-Sell Buyers and Sellers Realty - Homes for sale in Mobile County and Baldwin County. We work with buyers and sellers. Just like new without the new price! 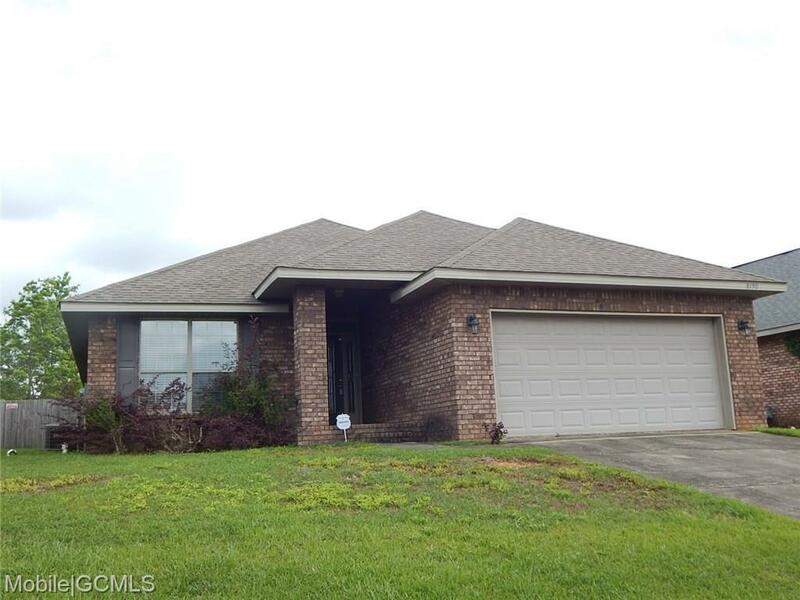 This home is an all-brick, 4 bedroom 2 bathroom home with over 1800 square feet of living area. It has great traffic flow with its open floor plan. Soaring ceilings throughout the Great Room, formal Dining Room and Kitchen make entertaining a breeze!! Split bedroom plan, with the 4th front Bedroom perfect for the teen in the family or a study/office. The spacious Kitchen features a hop-up bar, double door pantry, large picture window, and a center island. The Master Bedroom is off the Great Room and has a long walk-in closet and a glamour Master Bathroom with his and her sinks, separate shower, and built-in medicine cabinet. This home also features add-ons in the Kitchen cabinets, gas fireplace that has never been used, a security system, a double garage, and front and back porches. The seller would be willing to leave the refrigerator, washer, dryer and pot rack with acceptable offer! Directions: From Schillingers Rd S, Right On Theodore Dawes Rd West, Subd On The Right.